COLUMBIA, Mo 10/23/18 (Preview) -- Elizabeth Moen is one of those rare vocal artists -- male or female -- whose voice leaps so far in front of the music that every other instrument fades. NPR called her voice "jaw-dropping." Moen brings her front-and-center vocals to Columbia on Thursday at Cafe Berlin. Her songs are like searchlights, seeking resolute pathways through matters of the heart shrouded in uncertainty, longing, and misbegotten circumstance. "I wish I could swoop you into my wings," she coos in Songbird, from her 2016 self-titled CD. "But I’m just a songbird outside your window." I wish I could come inside, sit at your table, spend the morning "talking and laughing," maybe over coffee, quiet smiles, eyes that flash connection. You know those cherished times, simple moments on chill Fall days, me in my favorite sweater, you handing me the warm cup of friendship -- I can see the strength in your hands -- and pulling up a chair. Easy, right? Not for Moen's songbird. "I’m singing at the top of my lungs," she pleads. "Trying to get through. But you never understand me..." I can't reach you and you can't reach me. Not "among the branches and leaves" where I live nor beyond that window of longing where you sit, alone. From Moen's 2018 A Million Miles Away, Matilda is a journey. Watching a "pink and orange sky...Across an ocean or miles away," the songstress seeks "someone...that’s waiting to be found by me." Moen sings Matilda as though she were a seafaring vessel and the lyrics waves, rising in unexpected (bold) but significant places. "It’s your hands I want playing in these lines," she tells this one true love she has yet to meet. "Maybe you’ll like these strings or maybe not at all. But, I’m writing this for you if our stars one night may cross." Those strings she's singing about: "heartstrings," that "seem to strum endlessly. For the one that’s waiting..."
The sea calms and she floats gently before another wave crashes over her bow. "I love you, I love you, I love you, and love is not lost." David Lynch, the creative genius behind Twin Peaks, Blue Velvet, and other films with haunting scores that stay with you long after the movie is over, would probably love Mars, Moen's single from her 2017 album That's All I Wanted. Her big voice propels the song with rapt, lyrical nods to celestial bodies, space travel, splashdowns, and the bright heat of the sun. 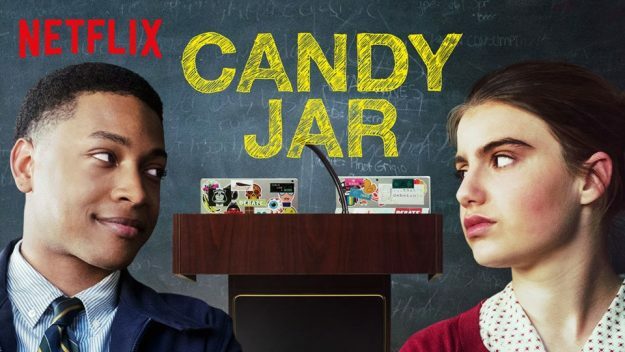 Netflix picked up Mars for the movie Candy Jar, with Jacob Latimore and Sami Gayle as star -- and star-crossed -- high school debaters who must overcome their antipathy for one another to win a state championship. You can almost see the song's blue flame "getting hotter...turning white" with every argument these ambitious wordsmiths hurl at one another, as they weave a tapestry of flying sparks meant to burn the edges off their opponents. But maybe there's something more in those sparks. Some different passion. A new emotion. How will they see it, though, "spinning around in circles...at the speed of light," threatening to "burn out like us," Moen sings. With all that untempered ambition, "We’ll burn into dust." Moen seasons folk with dashes of honky-tonk and traditional country-western in Easier Said Than Done, about the honest difficulty of falling in love. She's "been with someone who’s wrong...been pretending for ya,"and thinking too much because "maybe that’s how you fall in love...Convince yourself to the edge of reason and slip on down." Convincing, pretending, falling for Mr. or Ms. Wrong, trying to stop trying: with all these pitfalls, why would anyone want to fall in love? "‘Cause thinking you’re in love feels good," Moen sings. "It feels good, good as it should." And "once you stop, the smoke and lights fade away. Fade away, but the emptiness is here to stay." Moen headlines Cafe Berlin, Thursday night at 8 pm.